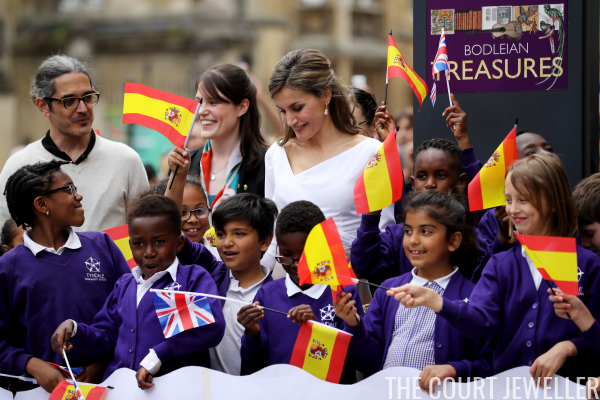 For the final day of the Spanish state visit to the United Kingdom, King Felipe and Queen Letizia headed to Oxford with the Duke of York. 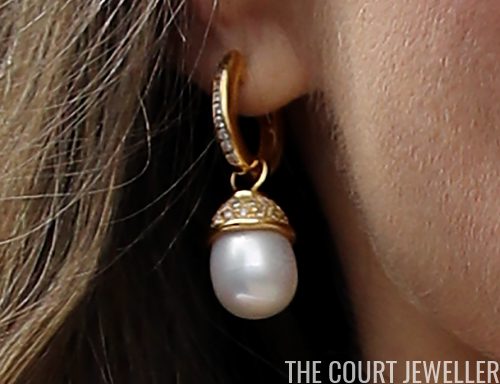 Letizia wore a pair of earrings we saw earlier in the week: the pearl drops previously worn during the official welcome ceremonies. On this occasion, though, we got a much better close-up view of the earrings. I think I spy teeny diamonds set in the gold. 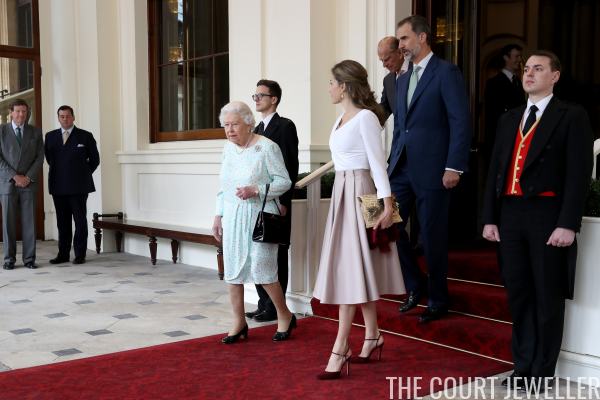 Here's a look at Letizia's entire outfit for the day. 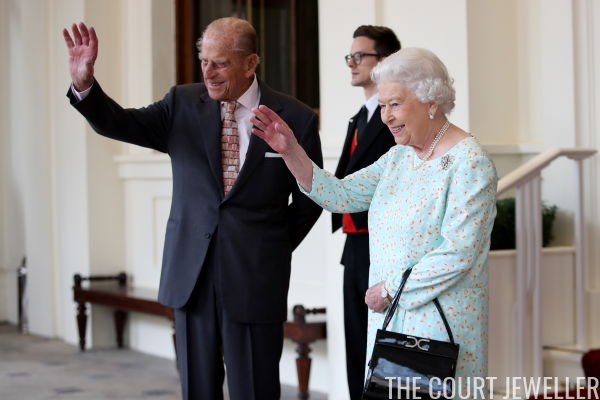 Before heading back to Spain, Felipe and Letizia popped over to Buckingham Palace to say goodbye to Queen Elizabeth II and the Duke of Edinburgh. 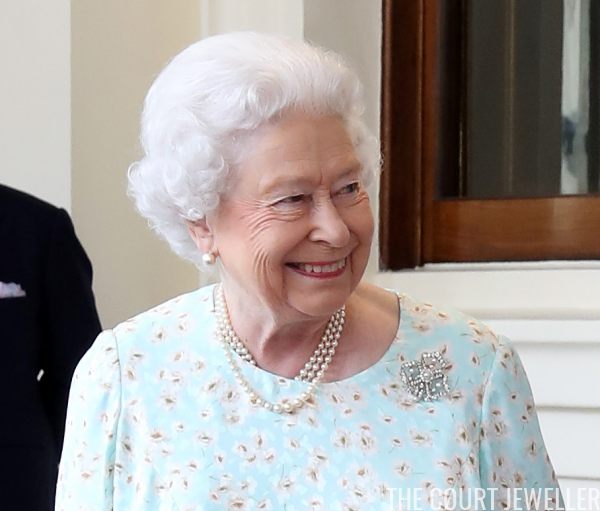 The Queen wore the Pearl Trefoil Brooch. Lots of smiles were on all of the royal faces. 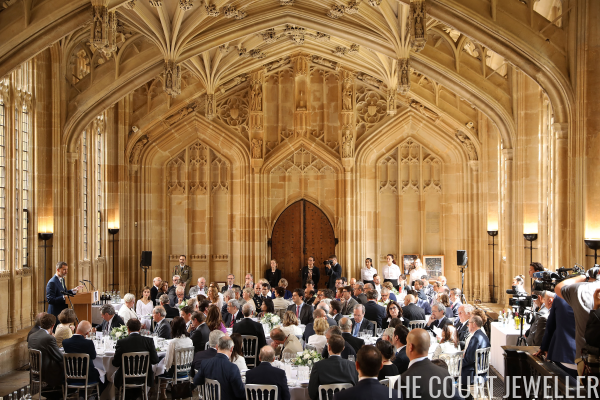 One of the most glittering state visits in recent memory is at an end -- what do you make of the jewels we saw overall?